Of course everyone loves to shop, but with all of the resources consumed by both the producers and the customers, shopping can be a practice that takes a heavy toll on the environment. There are many indirect ways shopping negatively affects the environment, such as the fuel required to ship products around the world and materials used in both packaging and shopping bags, nonetheless the materials used to make the products themselves. However, with some simple shopping tips, you can be proud to know that you can still shop and go green at the same time. Although this change to your shopping habits may seem insignificant, using your own reusable or non-plastic bags will greatly reduce the amount of plastic put into landfills each year. Now, many stores sell reusable shopping bags so they don’t need to give you another plastic or paper bag next time you shop at that store. 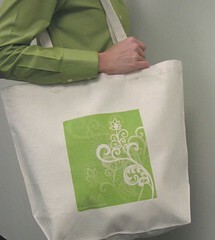 Furthermore, many stores offer slight discounts on purchases when the customer provides their own bag. Another tip is to try to buy in bulk. You don’t need to buy a year-long supply of something such as bread at one time and freeze it, but by buying slightly larger sizes than you normally do will reduce the amount of packaging that will be thrown in landfills because you will be buying those products less often. Also, if you purchase purified water, it is more environmentally friendly to buy it in large plastic jugs than bottles. If you need water on the go, buy reusable water bottles. And of course, opt for recycled products and organic foods. Products that are made from renewable materials are much more environmentally friendly.